Robert Allen Dodson, age 78, lost his 11+ year battle with Alzheimer’s disease surrounded by the love of his family on August 14, 2018 at The Lakes of Sylvania, Sylvania, Ohio. He was born on November 23, 1939 to Virginia (Braatz) and George Dodson in Toledo, Ohio. He married his loving wife, Joy Newton on January 21, 1961. Bob was a graduate of Swanton High School and attended Austin Peay State College in Clarksville, TN. 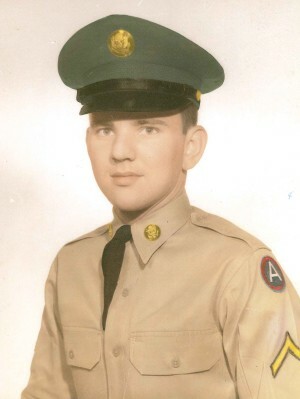 Bob served his country in the U.S. Army and then worked in construction for George L. Freeman Company and OCP until retirement. He is a retired member of Carpenters Union 1138. Bob retired in 1999 and traveled with Joy in their motor home for 7 years. They subsequently split their time between Texas and Ohio before returning to Swanton permanently. While in Texas Bob enjoyed playing shuffleboard and won many tournaments. Bob enjoyed reading, playing cards, golf and traveling. 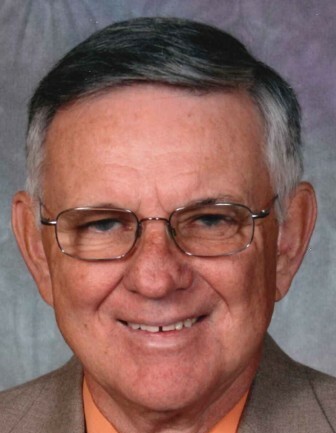 Bob was a member of Trinity United Methodist Church and served on many boards and committees. He was active in the Masonic Lodge for over 50 years and was a Past Master of Triad Lodge 708 and current member of the Barton Smith Lodge. Bob served the Swanton community as a councilman for many years. Everything Bob did, he did well. He was a great husband, father, friend and employee. Bob is survived by his loving wife of 57 years, Joy Dodson; daughter, Robyn (Sean) McGhee; and brother, Mike Dodson; and many nieces and nephews. He was preceded in death by his son Robert; parents Virginia and George Dodson; siblings James, William, George, Raymond and Nancy. Special thanks to the employees of The Lakes of Sylvania, The Lakes of Monclova, Great Lakes Hospice, special aide Vincent and Promedica Hospice for their loving care. A gathering will be held on Sunday, August 19th from 2 to 8 p.m. at the Weigel Funeral Home, 204 Chestnut St. in Swanton (419.826.2631). Visitation will continue Monday, August 20th from 10 a.m. to 11 a.m. at Trinity United Methodist Church, where services celebrating his life will begin at 11:00 a.m., with Pastor J.T. Bean officiating. Interment will follow at East Swanton Township Cemetery. In lieu of flowers, memorial contributions may be made in Bob’s memory to either Bob Dodson Scholarship for Trade Skills via Swanton Rotary, PO Box 151, Swanton, OH 43558 or Trinity United Methodist Church Memorial Fund, 210 N Main Street, Swanton, OH 43558. Today I let go of your hand but you will be in my heart forever. We are comforted knowing that Bob Dodson knows who Bob Dodson is.